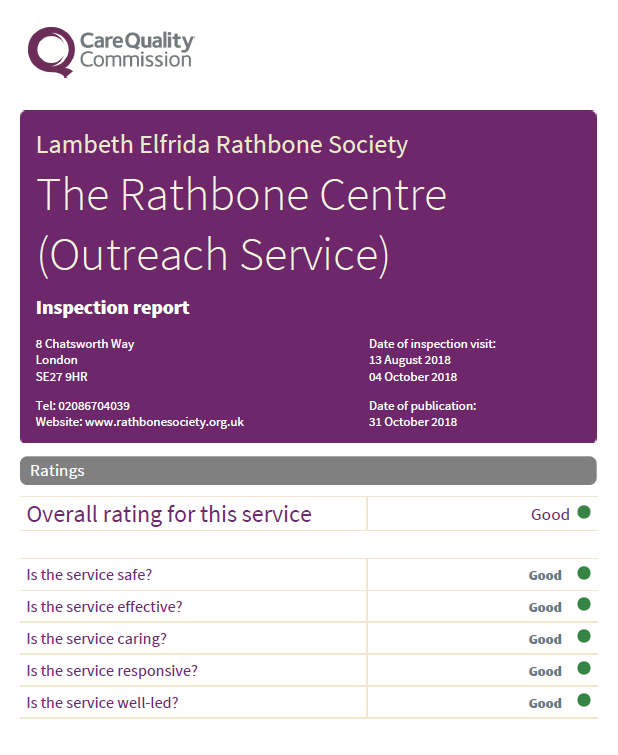 Rathbone’s Outreach service received its CQC Inspection report today! It’s ‘GOOD’! Congratulations to all of the staff who work in the service, either in the community or in the service’s two supported living projects. This report is a great reflection of the professionalism, commitment and dedication that all of our staff bring to their work. 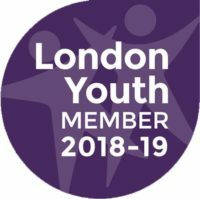 A big thank you must also go to the integrated disabilities social work team and the commissioners at Lambeth Council, who have worked in partnership with Rathbone to develop and restructure our services during 2017-2018. And last, but by no means least, a massive thank you to all of the fantastic people who use our service, their parents, carers and families. 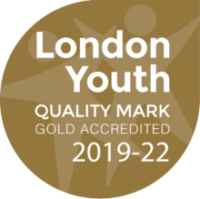 They have helped us in so many ways, to develop and provide new and innovative solutions to problems, to learn from our mistakes and to work alongside us to ensure that we remain a good, Safe, Effective, Caring, Responsive, and Well-Led Service.